Known for the woodsy and earthy smell of its evergreen needles, rosemary is an ancient herb renowned for it’s culinary prowess and homeopathic properties. Historically, rosemary essential oil has been celebrated for its affect on memory. Ophelia declared “rosemary, that’s for remembrance,” in Shakespeare’s Hamlet and has been used by ancient tradi-tions as a memory enhancer. The rosemary plant is native to the Mediterranean but can grown in almost any climate. 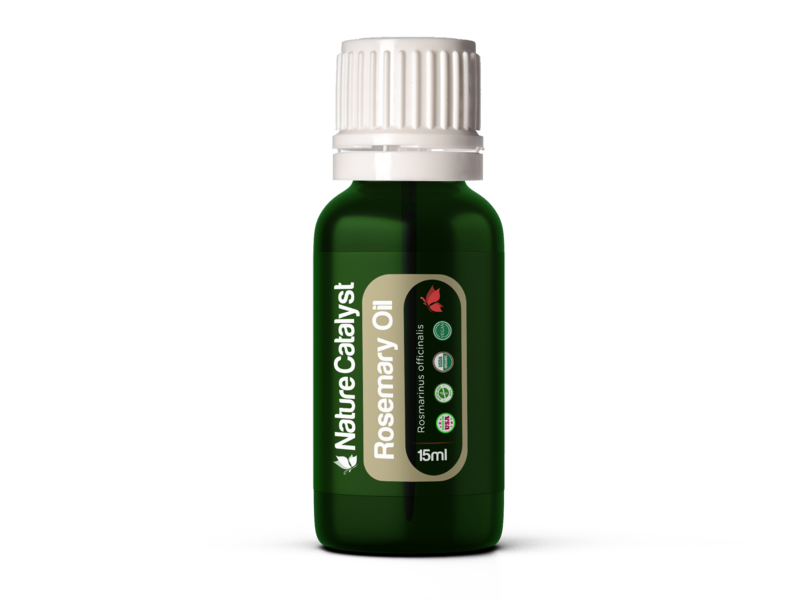 The resili-ency of rosemary translates into a diverse array medicinal and healing uses. The comforting and herbaceous quality of the evergreen needles also allow it to be potent aromatherapy. Promote Concentration & Memory: Add desired amount of drops to your favorite diffuser. Aid Digestion: Add 1-2 drops to your recipes to support healthy digestion and organ function. Calm Nerves, Reduce Tension & Reverse Fatigue: Dilute desired amount of drops to water or tea.